It has been a very quiet month for major quakes around the globe this month, with only 11 days left of the month we had only our third major quake of July. 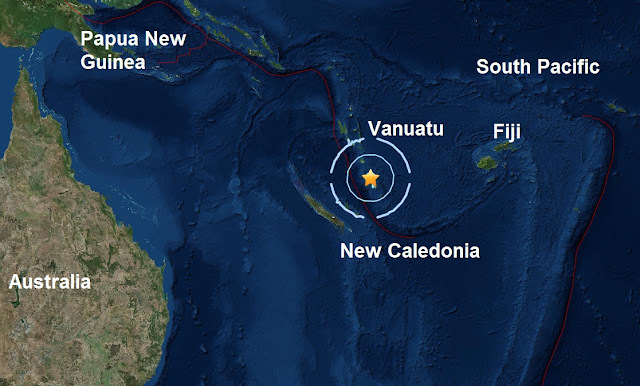 A mag 6.0 - 76km NNW of Isangel, Vanuatu has struck an earthquake and volcano savvy group of islands due east of the Australia plate, which is one of the most sesimically active areas of the world due to high rates of convergence between the Australia and Pacific plates. Todays quake is the 75th major quake of 2016.